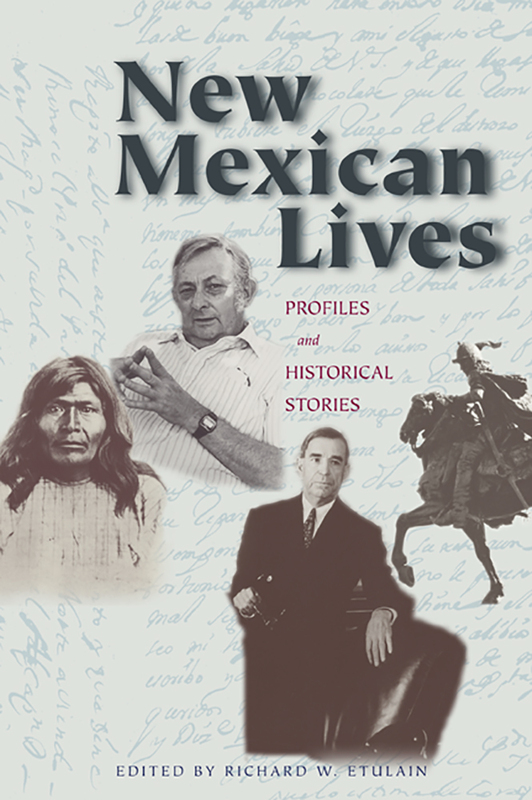 In New Mexican Lives, Richard Etulain and a distinguished group of twelve collaborators re-interpret the state's history through biography. Profiles of fourteen notable, complex characters provide a unique view into New Mexico's development from prehistoric times to the present. Here are lives of men and women that illustrate memorable events: from Popé and the Pueblo Revolt to Spanish colonizers Juan de Oñate and Diego de Vargas; from Hispanic widows exercising their property rights to Billy the Kid and the shoot-out in Lincoln; from Mabel Dodge Luhan and her avant-garde, idealistic salon to Senator Dennis Chavez and the exercise of Hispanic political power on a national level. By emphasizing the links between important New Mexicans and their times, this book makes history a personal story of drama and pathos played out within a larger context of pivotal events and formative ideas. For example, we see the contradictory forces compelling Chiricahua Apache Mangas Coloradas to be committed to peace while nevertheless waging ceaseless war on Mexico, Kit Carson's struggle to find a humane way to carry out his duty to wage war on the Navajo, and Susan McSween's valiant and determined effort to modernize a seemingly untamed town. Richard Etulain is professor emeritus of history at the University of New Mexico and the author or editor of more than forty books. Etulain lives in Clackamas, Oregon.